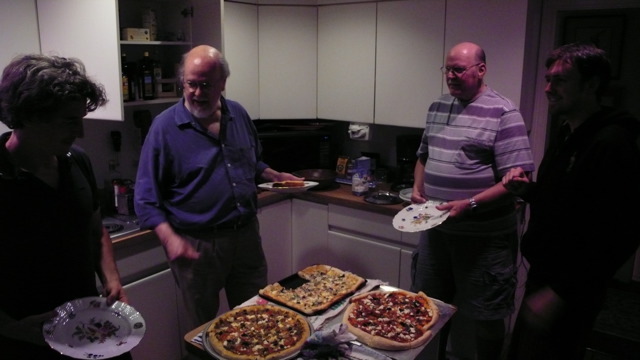 We had a pizza-off one night. Paul, Lewis and I were in the competion and Helena, Dad and uncle Scotty were the judges. Lewis's was divinely creamy and Paul's and mine were good too. I don't remember who won.